Documentary Filmmakers' Association Blog: Aquavision is Looking for Producers! 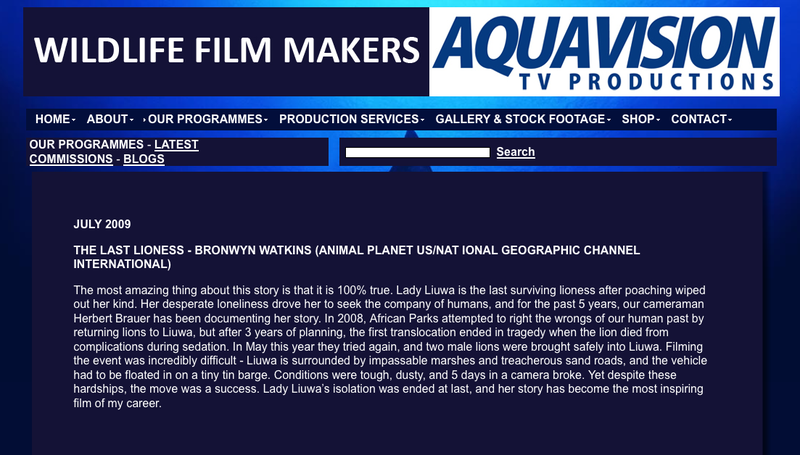 Aquavision has a long history of producing award winning documentaries for National Geographic as well as many other networks. We require skilled, energetic television Producers who can work to strict deadlines and who preferably have experience in wildlife, factual or children's programming. The deadline for CV's to be sent is by the 30th of June, but the earlier the better. As for the projects that potential Producers will be working on, they are very varied. All projects are essentially wildlife based. There will be series work as well as one off documentaries and we are also looking for Producers to work in development. Coming up with fresh ideas for wildlife programming. If you could kindly send this out on my behalf to your members, I would be most grateful.